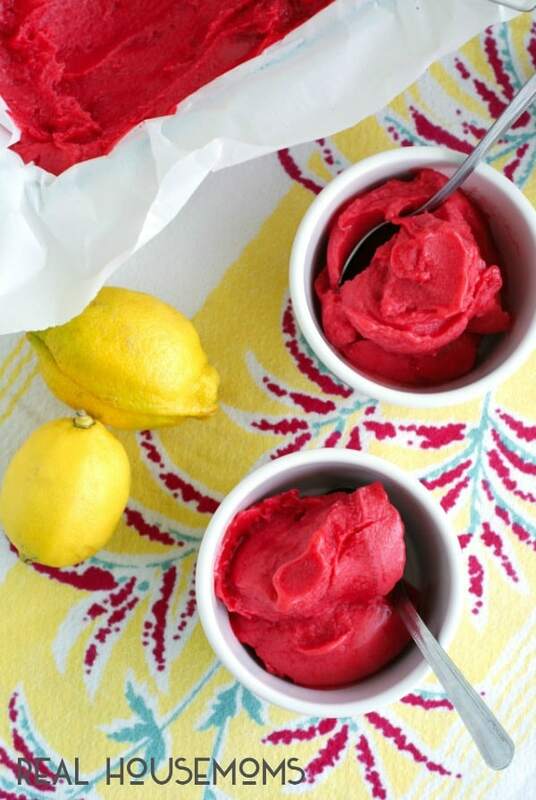 RASPBERRY LEMONADE SORBET is a sweet and tangy frozen treat that is bursting with bright and fresh flavors, just like a raspberry lemonade! Lately, I’ve become a thrift store shopaholic. At least once a week I drop into the thrift store for a quick browse around to see if there’s anything new and exciting on the shelves. Exciting things at a thrift store? If you’re a food blogger like me, a thrift store can be a goldmine of unique food props that are full of character. I’ve picked up quite a few bowls, serving platters, utensils, and placemats (among other things!) that help keep my food photos fresh. I even found a super cool copper cookie press the other day straight out of the early 1950’s for just a buck. One man’s trash is another man’s treasure! My very best find so far was a brand spankin’ new in the box, never opened ice cream maker! I noticed the box looked brand new and was still sealed, so I scooped that baby up and put it into my cart without hesitation. An ice cream maker! How fun, right? With two kids and a life in sunny Florida, an ice cream maker will be put to very good use in our household. As soon as that bad boy was officially mine, I started brainstorming all of the flavor combos I wanted to try. The more I thought about it, the more I knew I wanted to make a treat especially for the kids. 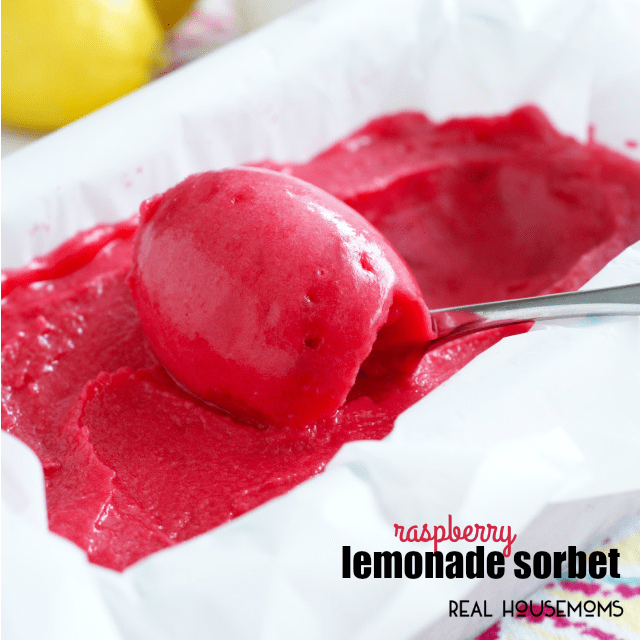 They both love raspberries and lemonade is a once in a while kind of treat, so I was inspired to make them a raspberry lemonade frozen dessert! Instead of making a true cream based ice cream, I decided to go with a sorbet so that the sweet and tart flavors would really shine. And boy did they! This recipe makes a gorgeous, smooth, bright sorbet that is perfect for cooling off on a hot day and celebrating the flavors of summer! 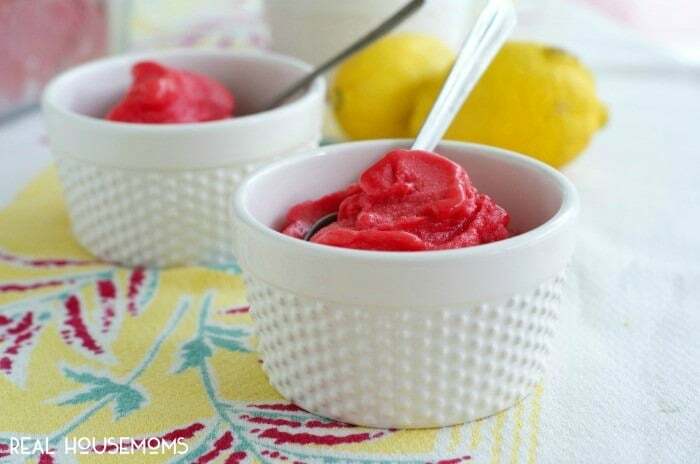 Raspberry Lemonade Sorbet is the perfect sweet and tangy frozen treat that is bursting with bright and fresh raspberry and lemon flavors, just like a raspberry lemonade! 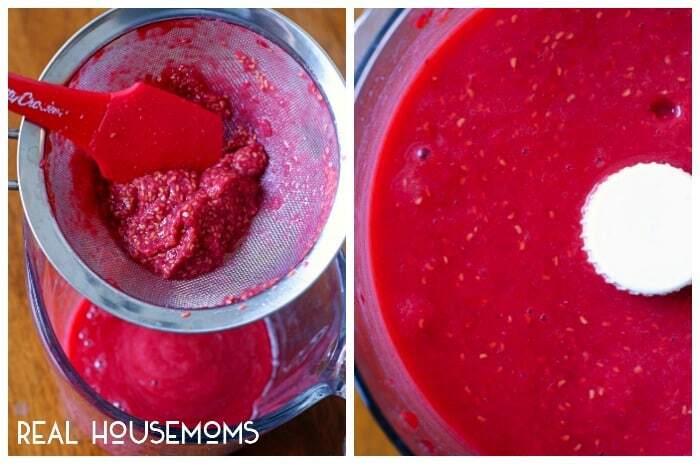 Process the berries in a food processor until no whole fruit remains. Press the puree through a fine mesh strainer and discard the seeds. In a small saucepan over medium-high heat, combine the water and sugar, stirring frequently until the sugar melts. 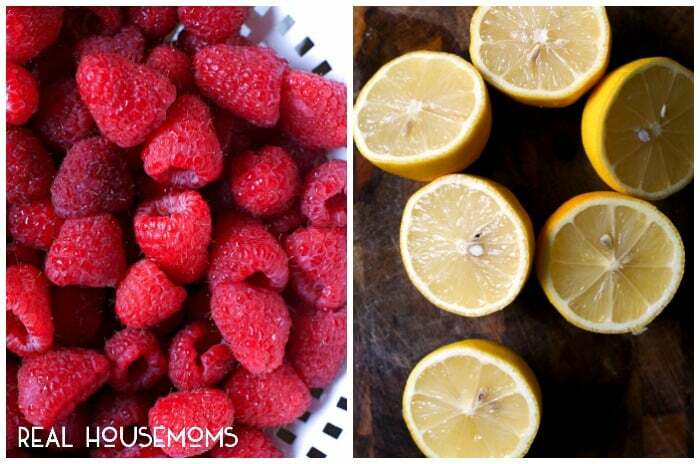 Combine the raspberry puree, sugar syrup, lemon juice, salt, and vodka. 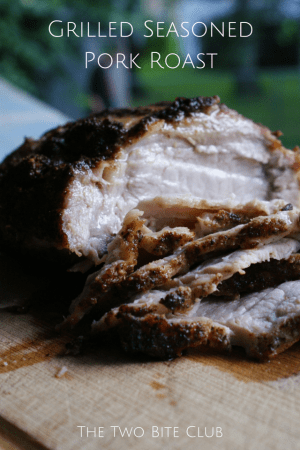 Cover and freeze for one hour. Pour the mixture into your ice cream maker churn according to the manufacturers directions. 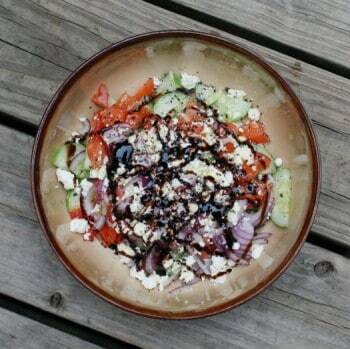 Transfer to a freezer safe container and freezer for at least one hour before serving. The vodka is optional, but using it helps to make the sorbet the smooth, creamy texture desired. 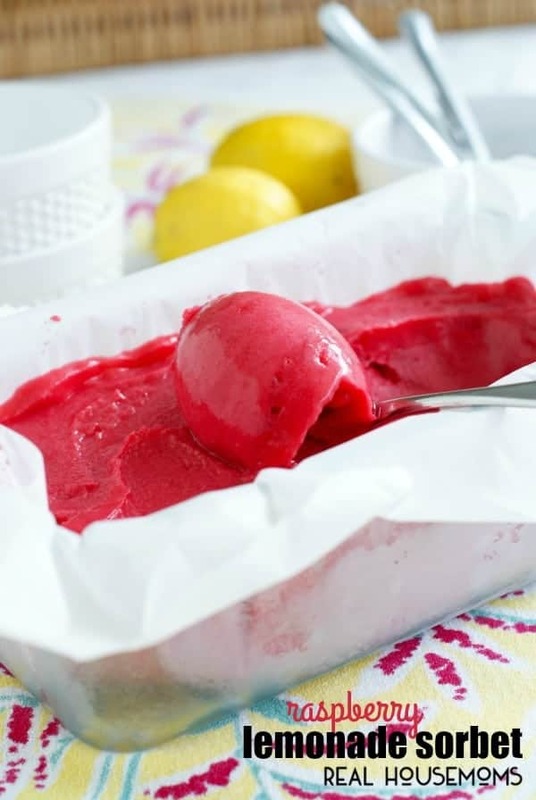 For a complete spring or summertime meal, serve this sorbet for dessert after enjoying some of my favorite dishes below!